Ignoring declarations by six jurors in Edmund Zagorski’s 1984 trial that they would have spared Zagorski (pictured) if they could have sentenced him to life without parole, Tennessee Governor Bill Haslam rejected Zagorski’s petition for clemency on October 5, 2018. In conjunction with the Tennessee Supreme Court's October 8 ruling upholding the constitutionality of the state's lethal-injection protocol, Haslam’s decision moved the state closer to executing Zagorski on October 11. At the time of Zagorski’s trial, Tennessee law required jurors in death-penalty cases to choose between sentencing a defendant to death or risk the possibility that he could later be released on parole. The jurors in Zagorski’s case submitted sworn declarations in support of clemency, saying that they would have sentenced him to life without possibility of parole, rather than the death penalty, if they had been given the no-parole option. Juror Michael Poole told Nashville Scene, “Our concern was that at some point in time maybe this man would be released and could actually be out in society and commit such a crime again. ... [Zagorski] has paid a significant price up to this point, I feel, and the continuation of his imprisonment until he dies of natural causes I think is punishment enough.” Nancy Arnold, another juror, agreed. “[A]s far as the law was concerned, all we could do was what we did. We had no choice of life without parole. I would have definitely done that if it had been available.” Zagorski’s clemency plea was also supported by correctional officials who said he has been a model prisoner and has reformed during his 34 years on death row. Despite those statements, Gov. Haslam denied clemency, writing that “the jury in Zagorski’s case heard the evidence at trial and rendered a unanimous verdict in accordance with the law at the time and their duty as jurors. Ten courts, including the Tennessee Supreme Court and the Supreme Court of the United States, have reviewed and upheld the jury’s verdict and sentence, and the Tennessee Supreme Court has held that the addition of life imprisonment without the possibility of parole as a sentencing option does not affect previous verdicts.” The Tennessee Supreme Court on October 8 also removed a hurdle to Zagorski’s execution, ruling 4-1 that Tennessee's lethal-injection protocol is constitutional, and that prisoners did not prove an alternative was available, as required. In response to that ruling, Zagorski requested that the state execute him with the electric chair, saying, “I do not want to be subjected to the torture of the current lethal injection method.” In a statement, Zagorski’s lawyer, assistant federal defender Kelley Henry, said the Tennessee high court decision had left Zagorski to choose between “two unconstitutional methods of execution.” Describing the prospect of “10-18 minutes of drowning, suffocation, and chemical burning” as “unspeakable,” Henry said Zagorski found the electric chair to be “the lesser of two evils.” Zagorski is appealing the Tennessee Supreme Court’s decision. Ohio Governor John Kasich (pictured, left) has commuted the death sentence imposed on Raymond Tibbetts (pictured, right) to life without parole, in response to a juror's concerns about the unfairness of the sentencing proceedings in the case. 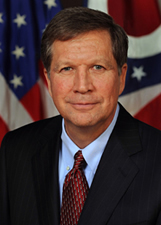 It was the seventh time Kasich had commuted a prisoner's death sentence. The July 20, 2018, news release announcing the commutation explained that Kasich had granted clemency because "fundamental flaws in [the] sentencing phase of [Tibbetts’s] trial … [had] prevented the jury from making an informed decision about whether Tibbetts deserved the death penalty." Kasich had previously issued Tibbetts a reprieve, delaying his scheduled February 13 execution until October 17, after receiving a detailed letter from juror Ross Geiger asking him "to show mercy" to Tibbetts. Geiger's January 30 letter alerted the governor to serious flaws in the trial that misled jurors to sentence Tibbetts to death, including defense counsel's failure to present critical mitigating evidence about Tibbetts's horrific upbringing and the prosecution's misrepresentation of important details of Tibbetts's family history. "If I had known all the facts," Geiger wrote, "if the prosecutors had been honest and forthcoming about the horrors [Tibbetts] and his siblings experienced in the foster care system, and if we had an accurate understanding of the effects of Mr. Tibbetts' severe drug and alcohol addiction and his improper opioid prescription, I would have voted for life without parole over death." As part of his order granting the reprieve, Gov. Kasich directed the Ohio Parole Board to reconvene to hear Geiger's concerns and to reconsider Tibbetts's request for clemency. However, even after hearing from Geiger, the parole board voted 8-1 to recommend against clemency. In a statement by Tibbetts's lawyers praising the commutation, Erin Barnhart said, "Governor Kasich acted in the interests of fairness and justice by recognizing that Mr. Tibbetts’ death sentence was fundamentally unreliable. The jury was deprived of crucial information about the abusive and traumatic upbringing and the long-term impact it had on Mr. Tibbetts and his siblings. These circumstances provided compelling reasons for the exercise of clemency to correct the failures in the legal process in this case." Kasich also granted a reprieve to Ohio death-row prisoner Cleveland Jackson, pushing back his execution by nine months to "allow his newly appointed legal counsel sufficient time to review the case and properly prepare for his clemency hearing before the Parole Board." Jackson’s September 13 execution is now rescheduled for May 29, 2019. Ohio Governor John Kasich has commuted the death sentence of 52-year-old William Montgomery (pictured) to life without the possibility of parole. Montgomery was scheduled to be executed on April 11. The one-page proclamation granting clemency (pictured right, click to enlarge) did not specify the grounds for Kasich's action and was not accompanied by a news release or statement to the media. The order, issued March 26, stated simply, "after consideration of all relevant factors, I ... have concluded that a commutation of the death sentence of William T. Montgomery is warranted." Faced with issues of prosecutorial misconduct and questionable forensic evidence, the Ohio Parole Board voted 6-4 on March 16, 2018 to recommend that Kasich grant executive clemency to Montgomery, who was convicted and sentence to death in 1986 for two murders he maintains he did not commit. Lucas County Prosecutor Julia Bates opposed Montgomery's clemency application. An Ohio federal district court, affirmed by a federal appeals court panel, overturned Montgomery's conviction in 2007 because prosecutors had suppressed evidence and witness statements that undermined the state's version of how the crime occurred, but the full U.S. Court of Appeals for the Sixth Circuit reinstated the conviction in 2009, with five judges dissenting. Montgomery's supporters argued to the parole board that there was too much doubt about his guilt to risk executing a potentially innocent man. Prosecutors in the case withheld from the defense evidence that multiple witnesses had seen Debra Ogle, one of the women Montomgery was found guilty of murdering, alive four days after the date prosecutors said Montgomery had killed her and left her body in the woods. An independent review of the autopsy report showed that Ogle's body likely had been discovered within hours of her death. Adding to the doubt in the case, Montgomery's co-defendant, Glover Heard, told police five different stories before settling on a version of events that fit the prosecution's theory, and instead of facing the death penalty, he was sentenced to a term of years with eligibility for parole. The clemency grant was the sixth time Kasich had commuted a death sentence to life without parole. It was the second time a governor commuted a death sentence in 2018. 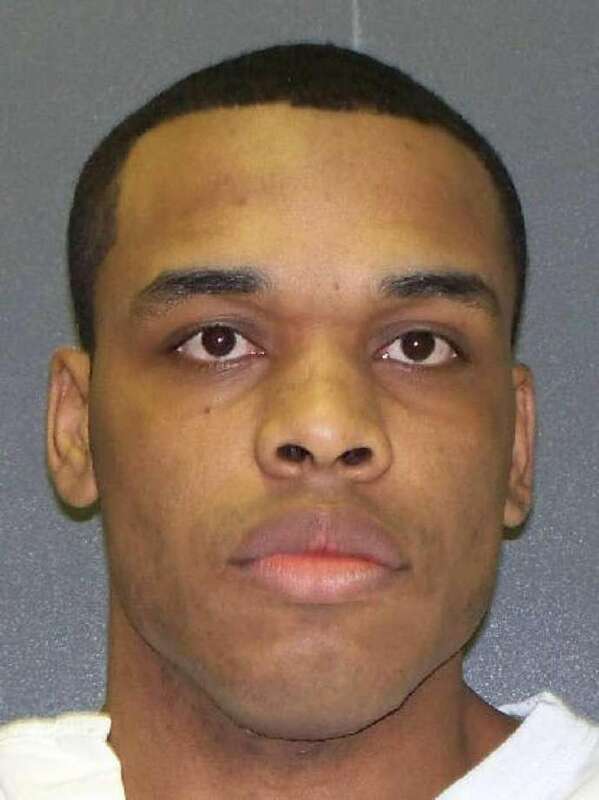 Texas Governor Greg Abbott commuted Thomas "Bart" Whitaker's sentence on February 22, less than an hour before he was scheduled to be executed. There have been 287 grants of clemency to death-row prisoners in the United States on humanitarian grounds since 1976. Ohio governors have granted clemency to death-row prisoners twenty times in that time period.